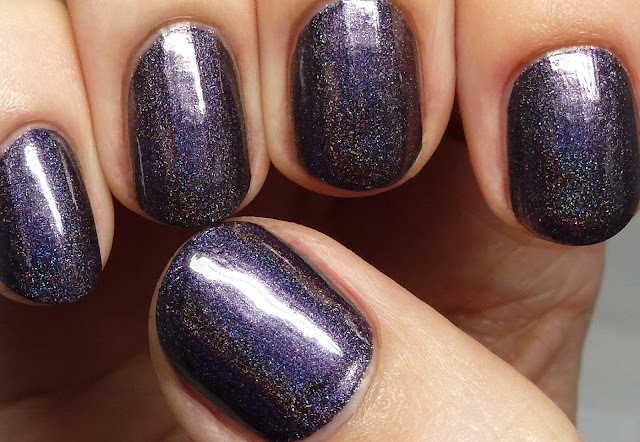 Each of the following swatches was done using about a pencil-eraser-sized amount in approximately 3ml of polish base and three very thin coats. 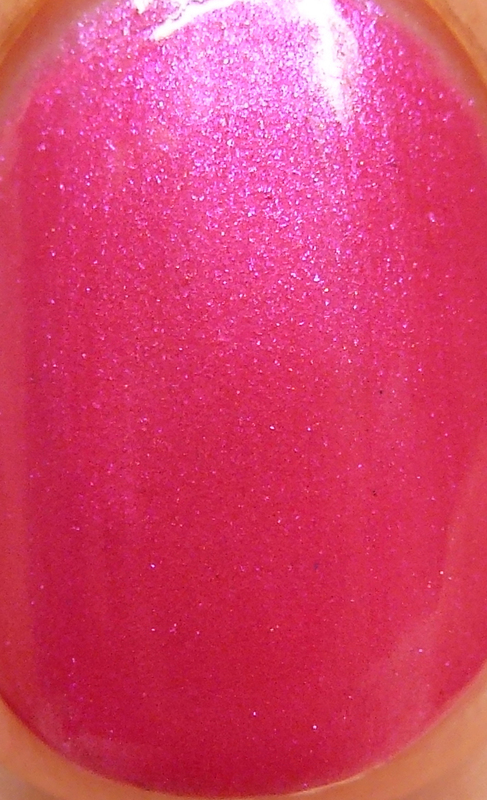 PRL1 Luster Red Pearl Pigment is a dark pink shimmer with bluish highlights. 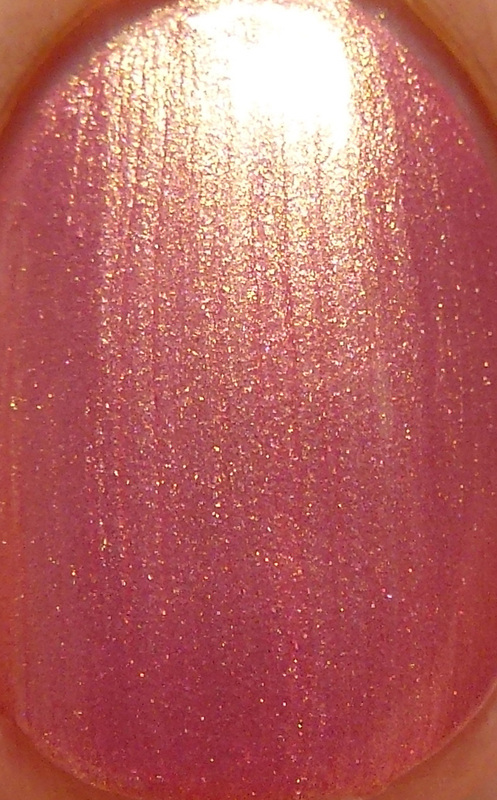 PRL2 Peach Pink Pearl Pigment is a Schauss pink shimmer with white highlights. 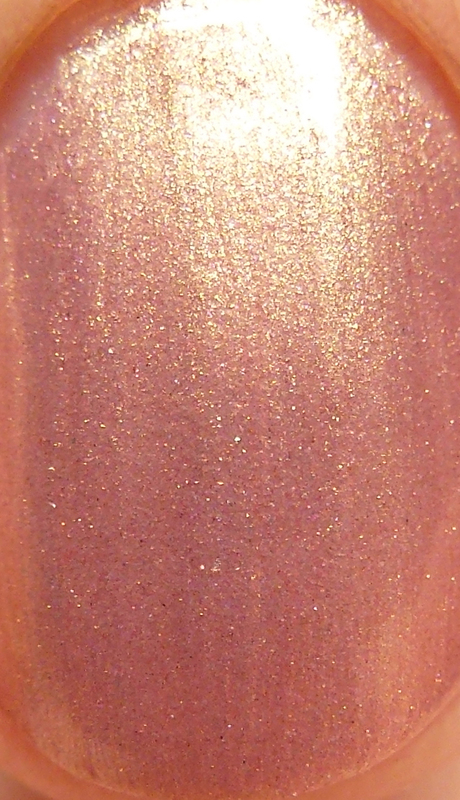 PRL3 Gold Red Pearl Pigment is a light salmon shimmer with gold highlights. 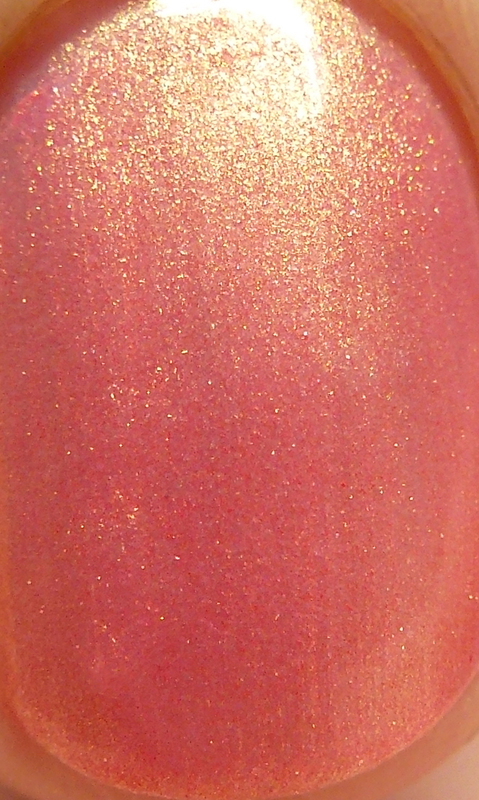 PRL4 Peach Red Pearl Pigment is a coral shimmer with cool pink highlights that shift a bit gold in oblique light. This one is more intensely opaque. 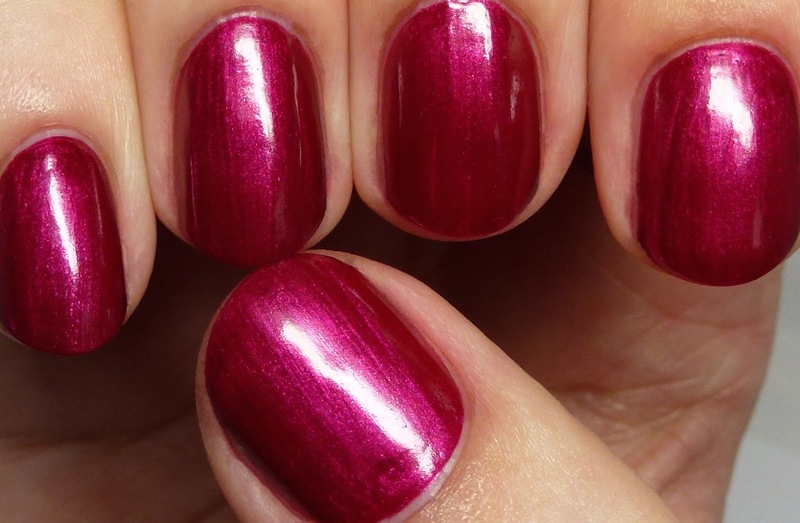 PRL5 Rose Red Pearl Pigment is a bright pink shimmer with violet highlights. This one is more intensely opaque. 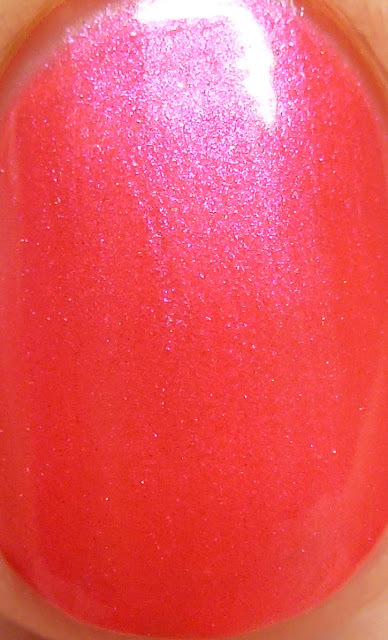 PRL6 Iridescent Red Pearl Pigment is an orange red shimmer with cool pink highlights. PRL7 Pink Pearl Pigment is pastel pink-beige shimmer with gold highlights. 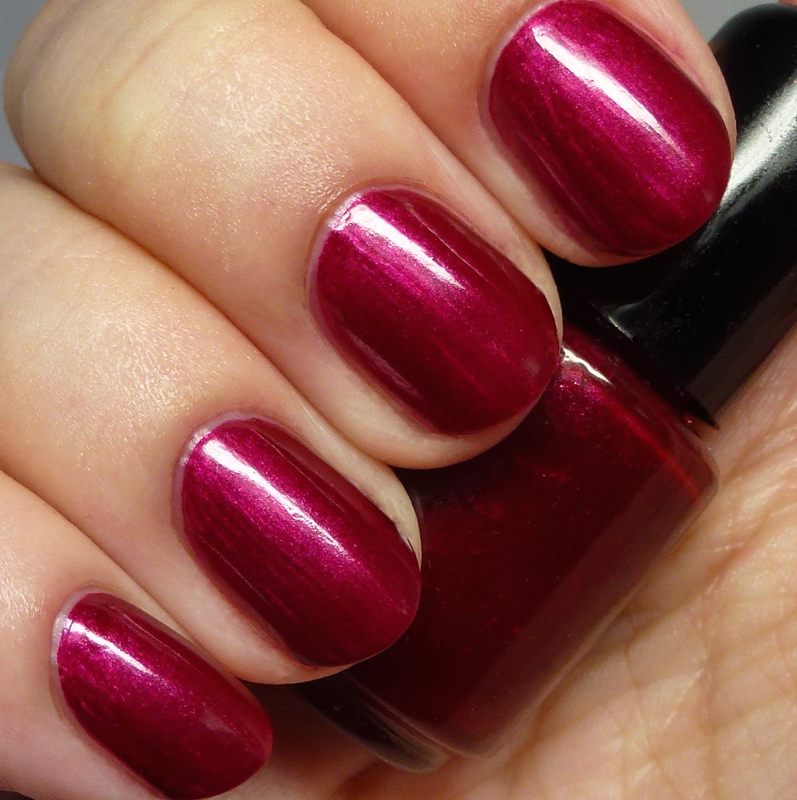 PRL8 True Red Pearl Pigment is a coral red shimmer with blue highlights. 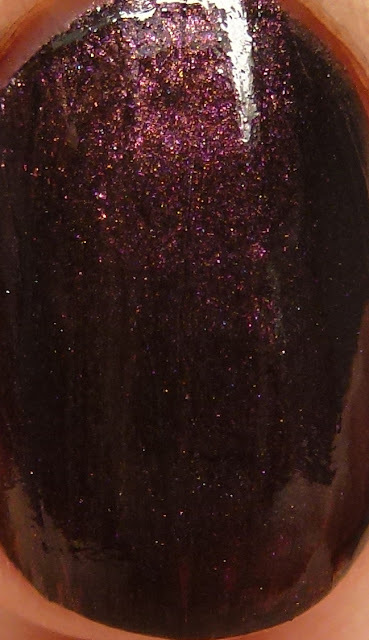 This one is more intensely opaque. 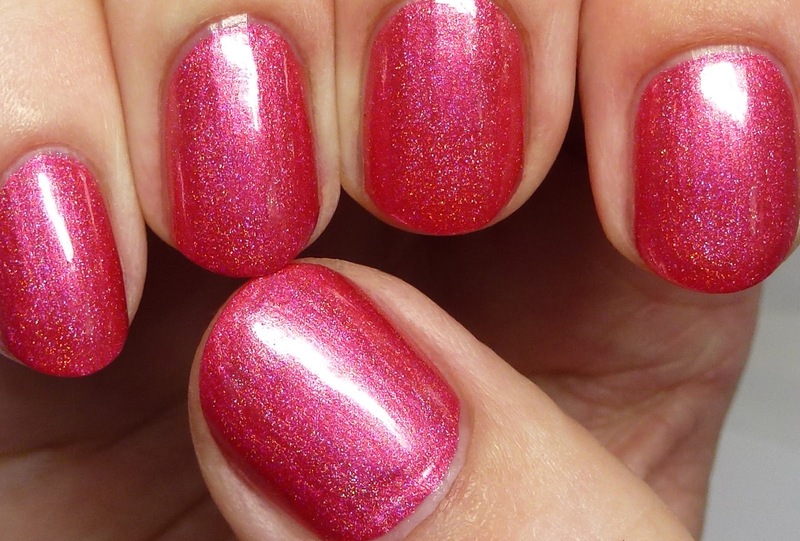 PRL9 China Rose Pearl Pigment is a China pink shimmer with blue-white highlights. PRL10 Red Yellow Pearl Pigment is a New York pink shimmer with gold highlights. This one is more intensely opaque and shows some brush strokes. Now let's look at some polishes made from these pearls! First, let me start off with some general tips about using micas. It is very important to test them in the base you are using - they can react differently in affecting the formula depending on the level of suspension of your base. Most often I experience thickening of the viscosity and end up thinning a mica-based polish after mixing and letting it settle for a few days. 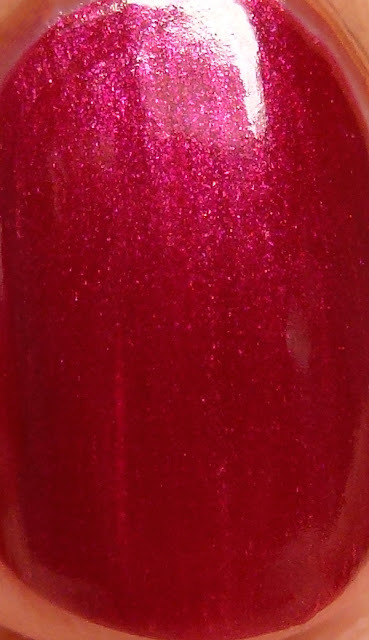 I highly recommend having a good thinner on hand - I use Wonder Beauty Liquid Velvet, which is safe to use with shimmers and glitters and quite economical. Cheap thinners from beauty supplies often contain heptane, which can break down glitters and coated shimmers - look for thinners that only contain ingredients already in your polish base. When using a mica, always go for the smallest amount to get the effect you want - you can always add more. I prefer to use pre-mixed lake and mineral pigment bases available from Spectraflair4u and other suppliers to achieve the opaque base color. If you plan to become a larger-scale maker, you can blend your own, but often have to mill the lakes before use to ensure a lump-free finish. Micas are great in that they don't have to be milled or ground before use, but over concentrating them can result in frosty finishes with very slow dry times. 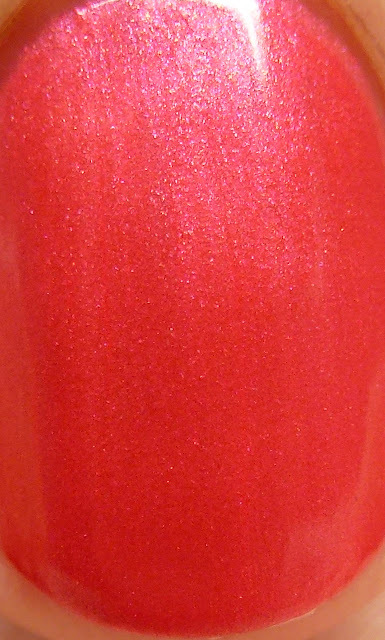 Some mica shimmers can easily be opaque on their own in few coats (I noted the concentrated ones above), but others remain translucent and will need another base if you want 100 percent opacity in one to two coats. Because they are frequently shimmers, micas can be sensitive to texture - for example, if you chose to mix larger flakes or glitter with a mica, you must allow greater transparency in the base to let the other elements show through without the mica covering them and looking bumpy. Okay, time for some more color! 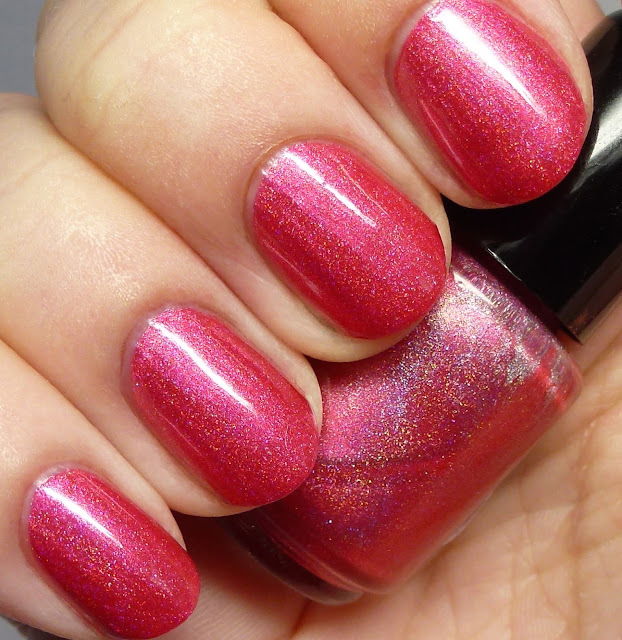 This peachy pink holo was made using Spectraflair4u's CPL8 Red 30 Lake Pigment Base, PRL3 Gold Red Pearl Pigment, PRL5 Rose Red Pearl Pigment, and Spectraflair 35. Red 30 has a cooler tone and I complemented that with peachy and cool micas. The micas substantially lightened the base and I love the the bright finish I got with this mix. 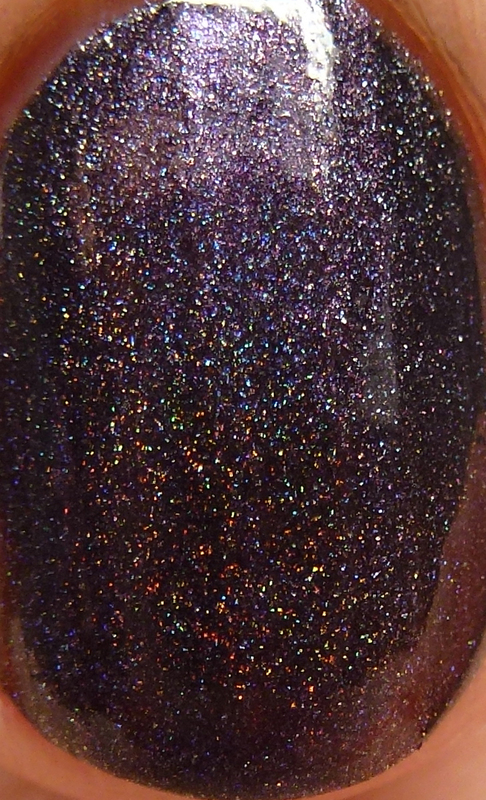 I am a huge fan of glow-from-within shimmers and decided to make one using a lake red 34 base and a mica. 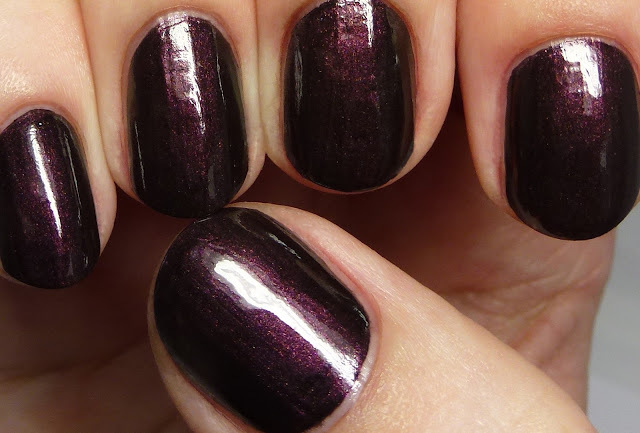 The key to producing this effect is to use a darker base and a shimmer that really pops. 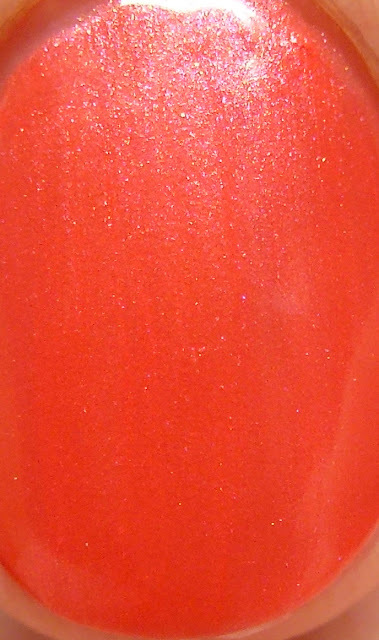 In this case, I chose PRL4 Peach Red Pearl Pigment, which is much warmer and brighter than the base. While the pictures show a few brush strokes, they were not at all apparent in person - the brilliant glow took precedence. I love how easy and simple this mix was - just two colorants and you are good to go with a lovely classic color. Your possibilities for combinations are vast. Next, I wanted to take these micas outside the red family for base color. This is another really simple formula, just PRL6 Iridescent Red Pearl Pigment and a black base. If I were to go back and make this again, I think I would do less pigment concentration - this is a one-coater, so it tends to show flaws in my nail surface (the down side to one coat polishes). But the good news is that even in a super-concentrated black base, the mica shows that it can still pop and have a nice effect! 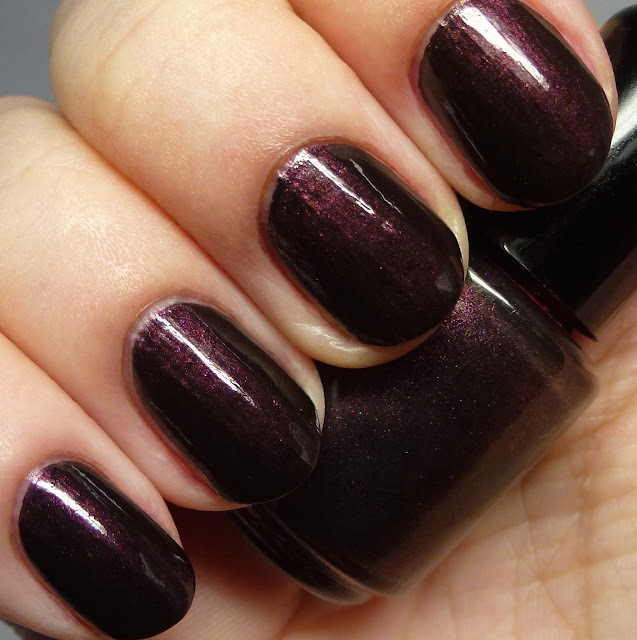 I love how the almost orange mica settles down to a burgundy color in the black base. That is something to note - if you want an effect to show a certain way, sometimes you have to pick combinations that seem a little over-the-top to achieve the end result you want. 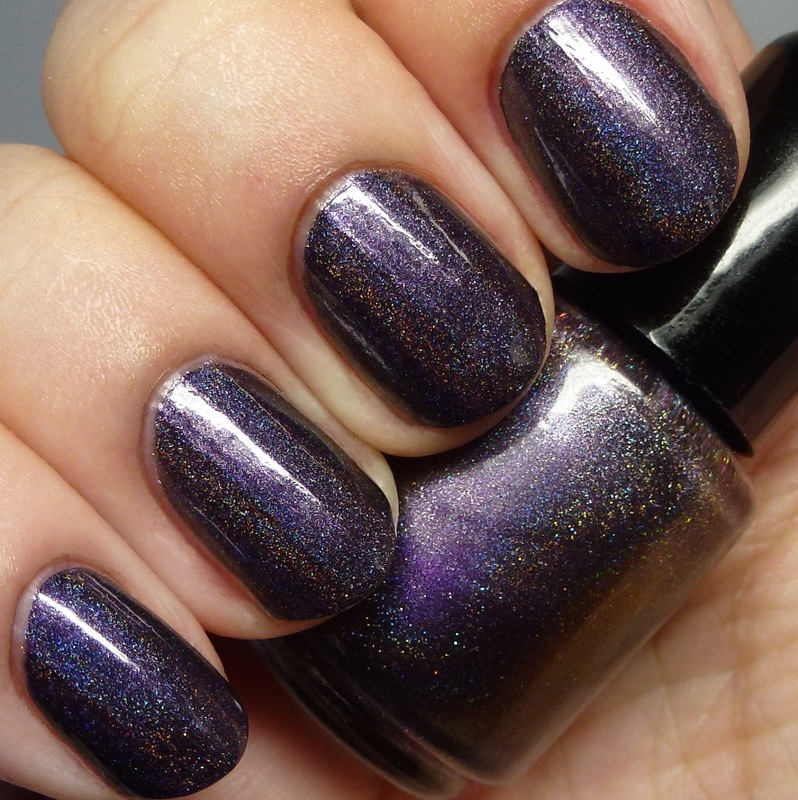 Finally, I created a more complex polish using PRL9 China Rose Pearl Pigment, Ultra Chameleon Chrome 6, and Spectraflair 35 in a Violet 2 and black base. In this case, I made a vampy dark purple using a pink shimmer. Ultra Chameleon Chrome 6 is one of my staple pigments - it has a violet-to-gold shift and is really versatile in all sort of colors. Here I wanted it to add a bit of metallic and shifty quality. 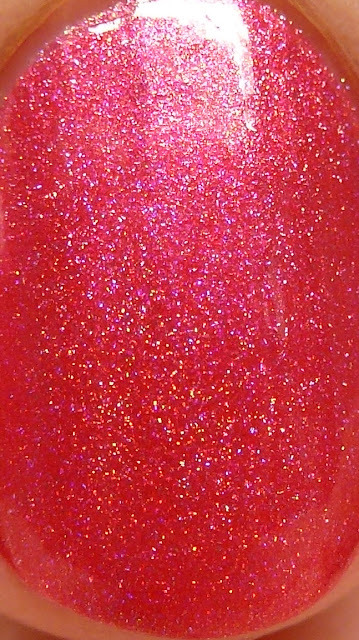 Again, this is a one-coat polish that shows a bit more of my nail flaws - I might chose to dilute it for a finished product. I hope you enjoyed the second episode of The Polished Hippy's Polish Lab and got some new ideas on how to use Spectraflair4u Red/Pink Pearl Pigments. I have some green pigments and polishes still in the testing phase that will be coming to you in the next month! Be sure to hit me up with any questions you might have about using these in your own polishes or if you want to know how to achieve a certain effect for something you are working on. Each of the Red/Pink Pearl Pigments sell for $2.50 for 5 grams, $10 for 35 grams, and $18.50 for 50 grams. I received a sampler for the pigments. 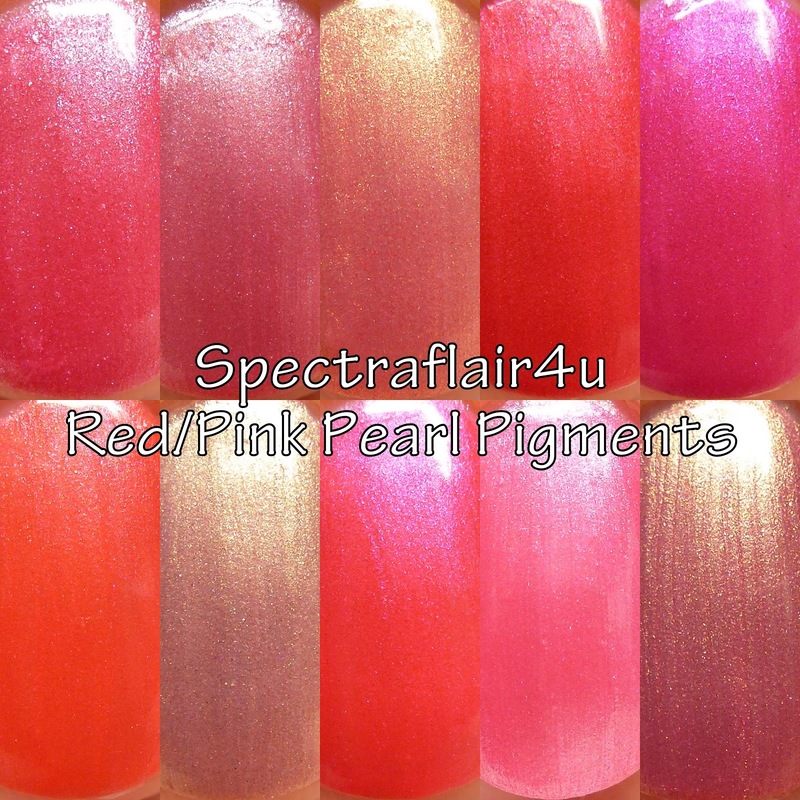 You can create your own pearl pigment sampler on the Spectraflair4u site, which includes 2 grams each of 10 pigments for $10. This is really a great option for trying out a lot of new things with a low financial commitment! 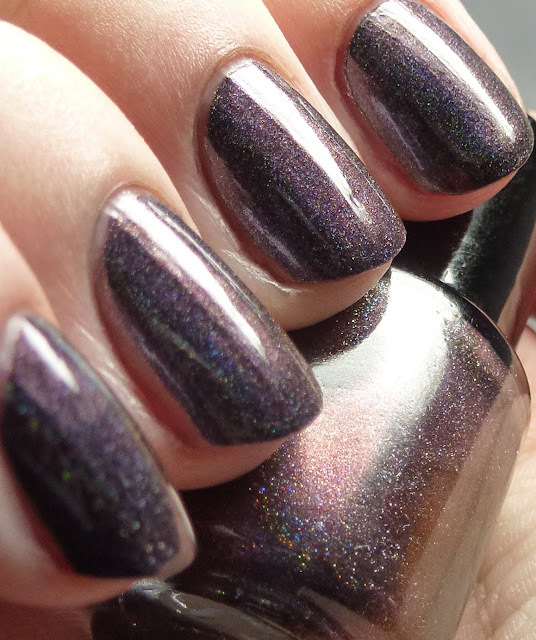 Spectraflair4u is run by Lori in Pennsylvania and has been one of the main pigment suppliers to the indie market for many years. She has a broad array of products, including effect pigments, mica, color bases, and general supplies and is known for her lightning-fast shipping.